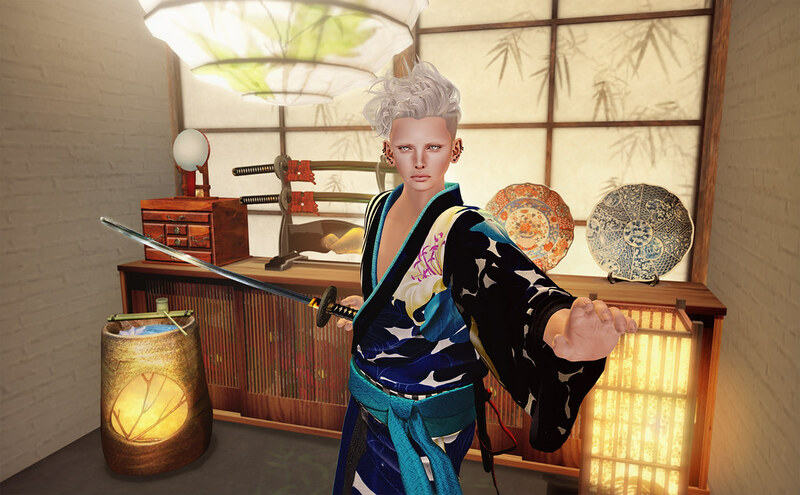 Kimono: *:..Silvery K..:*Men’s Yukata 2015(Mesh)Blue @ORIGAMI (July 5th) NEW! Sword: *:..Silvery K..:*KATANA_bizen Box(RARE)20 (6 pose) @ORIGAMI (July 5th) NEW! *:..Silvery K..:*Japanese Traditional Furniture No2 @ORIGAMI (July 5th) NEW! SS Pose -Karate KATA- 04 (Bonuse Item) @ORIGAMI (July 5th) NEW!